Contact the owner John at 847-707-0243 or jfoggia@ameritech.net. 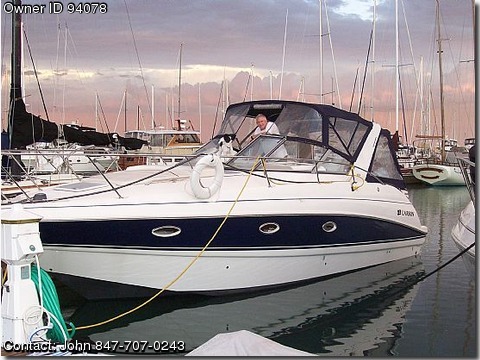 Hardly used – Like-new 110 hrs total time Beautiful cabin with luxury galley and head … sleeps 6 in 3 separate cabin areas. Air conditioning and cabin heat pump provide complete comfort. ACDC refrigerators in Galley and topside Cockpit Lounge wet bar area for foodbeverage integrity. 5KW generator for at-anchor AC flexibility Raymarine C70 and iCom DSC VHF plus USCG Yacht certification and Federal Documentation.